On Tuesday, July 12th the Chino Hills City Council took action on an Urgency Water Conservation Ordinance and declared a Stage II Moderate Conservation Alert that went into effect immediately and now permits the community to use water for outdoor irrigation three (3) times per week. The action by the City Council keeps the City of Chino Hills in compliance with the Governor’s May 9, 2016 Executive Order and the May 18, 2016 State Water Resources Control Board’s (SWRCB) adopted extended emergency regulations. This action comes after City Water Staff completed its analysis that assuming that over the next 3 years drought conditions persist, the City of Chino Hills water supply slightly exceeds its demand by one percent. Given the Water Board’s authority to impose $10,000 per day fines for water agencies that do not impose the mandatory conservation measures included in their action, the City must comply with the mandatory water reduction mandate. Residents and businesses are limited to three watering days per week and shall not exceed 15 minutes per watering-station, except for drip or micro-spray irrigation systems, which shall not exceed 30 minutes per station; and are prohibited from watering between the hours of 9:00 am and 6:00 pm. Prohibits application of water to hard surfaces such as sidewalks, driveways, and parking areas etc. or irrigation causing runoff, etc. Decorative water fountains at commercial properties may only be operated if the water is part of a re-circulating system. Vehicles, trailers, boats, and livestock can be washed with a hand-held hose equipped with a shut-off nozzle. Restaurants may not serve water unless the customer requests water. Water may not run off or leak from landscaped areas to streets, sidewalks, or other paved areas due to incorrectly directed or maintained sprinklers or over watering. 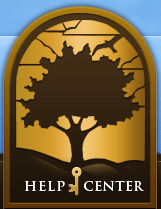 *An exception may be made for construction use through a City-designated meter when recycled water is not available. 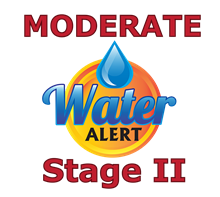 The Stage II Water Alert does not apply to areas where recycled water, flowing through purple pipes, is used. Please note: Businesses may resume the use of outdoor misting devices during the summer heat. The new ordinance reinforces the need to continue to conserve water with the current drought conditions. The City will continue to encourage the replacement of turf with drought tolerant vegetation; improve the water system to limit failures; increase the use of recycled water, and enforce water restrictions. Education is an important part of the City’s efforts and we encourage our residents to help share the information with friends and neighbors. If residents observe prohibited activities, they may report a concern using an online form at www.chinohills.org/ReportWaterWaste, or by calling the City’s Water Wise Hotline at (909) 364-2850. The City’s Water Conservation staff will follow-up and provide information about the water restrictions.